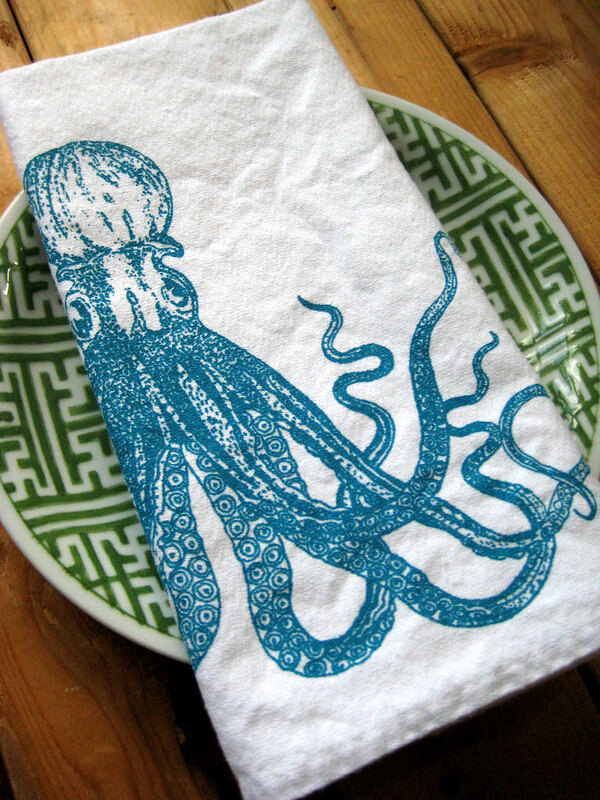 California Livin Home: OH - OCTOPUS ! I find the Octopus motif everywhere these days. 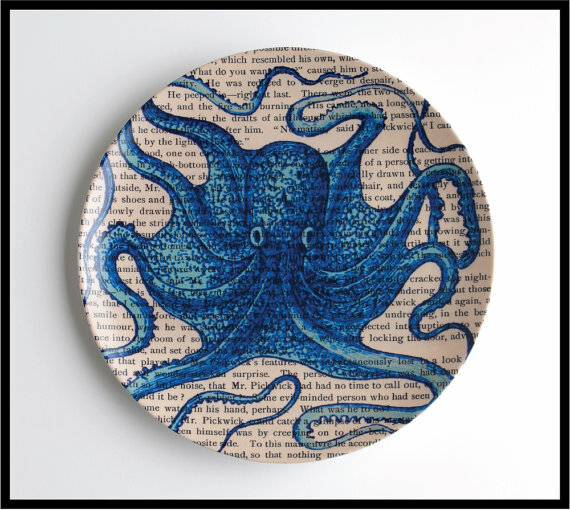 This aquatic creature is featured in Home Decor, Jewelry and many household and personal items. I wanted to share a few items I found on ETSY! 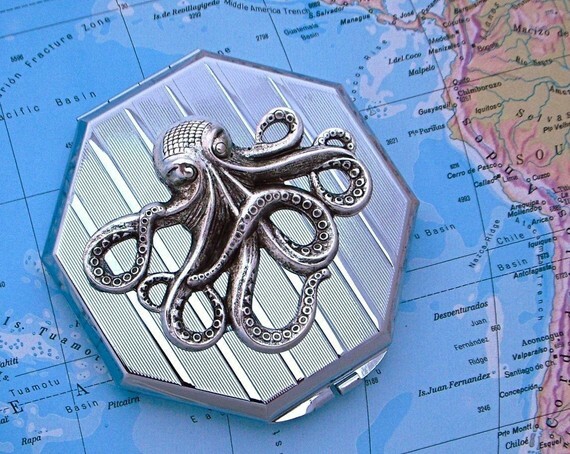 This wonderful Silver Mirrored Compact Case with Octopus detail. 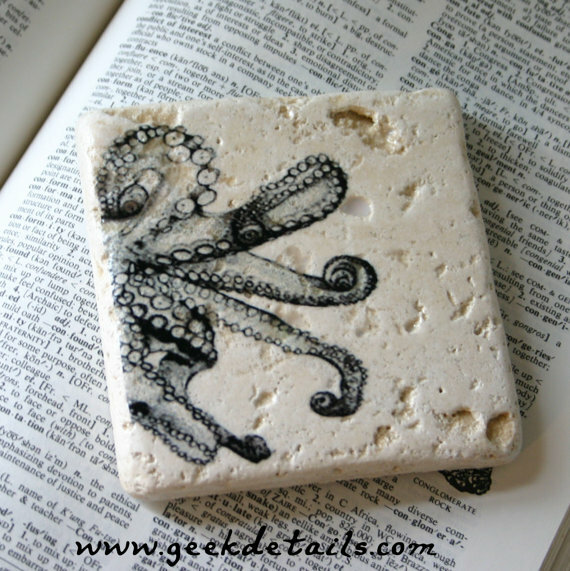 Tumbled Marble Set of 4 Octopus Coasters. 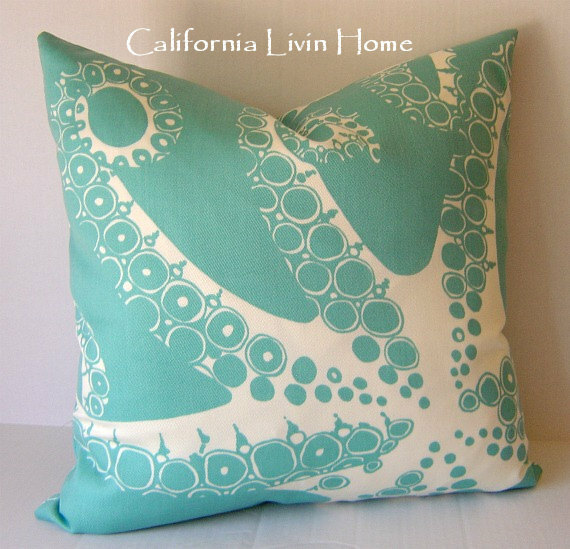 I also have an Octopoda Pillow on Etsy!